2) Discover Your Personality Type And How You Can Use Personality Profiles As The Key To Gain Insight Into Yourself and Your Relationships. 3) An In-depth Exploration of Each Personality Type — Learn How To Identify Them – Become An Expert. Techniques You Can Use To Analyze Someone You Meet. 4) Historical Origins of Physiognomy That Determine The 7 Personalities. Comparison To Astrology, Horoscopes, Body Language, Palmistry and Psychics. 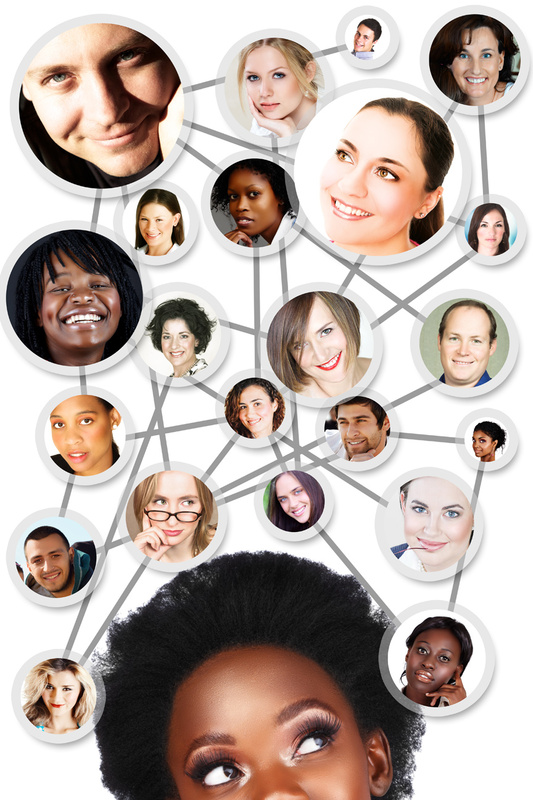 Learn Why This Is A More Personal Method Of Knowing Who You Are. The Personality Predictors Newsletter will guide you in learning who you are and provide insights into your goals, emotional make up and being in control of your relationships. It will give you knowledge that you require to become an expert in determining how to make the most of your qualities and how to overcome obstacles in your path, helping you find solutions to the problems you encounter in your life journey. It’s all about YOU and is the window into your deeper self and controlling your destiny to reach a truer self-understanding. You will learn about how to read facial and body features and determine what Personality Type your friends are and who you are compatible with. Begin to explore the 7 personality types with us and learn to evolve into the person you want to be and how you will benefit from this knowledge. DID YOU KNOW… that casting directors traditionally employ” type-casting ” (utilizing Physiognomy principles that are the basis of the 7 Personality Types) when they select the appropriate character actor or actress for movie rolls. They would not have picked Robert Redford, an Apollo, to play Sherlock Holmes (a Saturnian) or Marilyn Monroe (a Venusian), to portray Margaret Thatcher (a Jupiterian ) or Ashton Kucther (Saturnian) for a role in The Godfather (that would be a Martian type like Jack Nicholson). Actors and Actresses are photographed and categorized by their facial and body features and called when the are considered a match for a specific part to communicate certain character traits required in the role. Kim Kardashian: Her need for attention through her Reality Show and Wedding and insisting on taking center stage is no surprise as she is a Mercurian in the extreme sense. Financial success is critical to this type. They are clever at manipulating the public with their quick charm and wit to achieve their aspirations, even if it means ignoring the damage and choas they create to those around them. Hollywood is populated by this Personality type. However many Mercurians are highly creative and do not crave this type of attention. There is a sliding scale of character traits within each type. Meryl Streep: Her approach to life is one of seriousness, a respect for her craft, a need to anchor her family in tradition and a desire to achieve success through her gift of talent. She is a Jupiterian woman, a leader in her craft who has solid beliefs and goals based on her contributions. 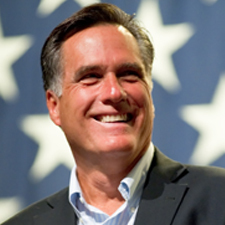 Mitt Romney has difficulty connecting to others because he is a blended type with a strong Saturnian influence (30%)in addition to his Jupiterian (70%)Personality Type. You will observe that he is tall like a Saturnian, but his body type, though narrow, is not unusually slender like a pure Saturnian. His eyes are smaller and more deepset than most Jupiterians and closer to his brow more typically like Saturnians. Most Jupiterians have larger expressive eyes. This combination makes him a serious committed leader but not as personable as many as he is lacking the innate “Charisma” that other candidates like the late President John Kennedy or President Bill Clinton came by naturally. Mitt Romney is by nature slightly more introverted and somewhat shy not especially social. People misread him. It is not an “elitist aloofness”, but a reticence to express his emotions natural to a Saturnian. Saturnians look before leaping, are cautious and analytical like Abraham Lincoln. His Jupiterian traits override this lack to a great extent as he is a talented leader of men, capable of well thought out strategies, moral and would be diligent and respectful of the responsibility of the Office of President. The combination of both types with the Jupiterian traits being dominant would allow him to become an excellent President and solid leader. They are problem-solvers. This analysis is not based on political prejudice of any degree, but simply observation of the Personality Profile he best fits. 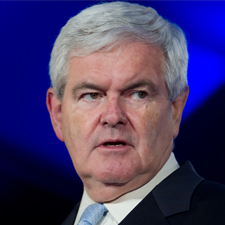 Newt Gingrich on the other hand falls into the Martian classification. He is a rare Martian type because of his outstanding ability to debate. Eloquence is not normally a strong point in the Martian personality. However, his debating “style” is that of a Martian in that he is direct, straightforward, minces no words, and gets to the point he is making. He is stalwart in his beliefs, a warrior for his goals and has a “take no prisoners attitude”, but morally he is respectful of his opponents and will not cross certain boundaries comfortably. His type, the Martian, has full resolve in achieving their goals, persistence and focus. They “never give up the ship” and seek to overcome all obstacles they encounter. Physiognomy is one of the oldest observational arts utilized by Philosophers, Poets, Rulers of Greek and Roman civilizations, 500 years BC The Greek philosophers held the theory that human beings are linked to the cosmos and planets as an integral part of the universe and that mankind is in harmony with the planets which influence their behavior and very nature. That is how Personality Predictors, utilizing the principles of Physiognomy maintained the tradition of the Ancients designating each PersonalityType with a planetary name and attributing the 7 Personality Types to their vision of what the planets represented. This was a connection that evolved through the ages and we still find illustrates best the nature of the individual personalities. WHY ARE THE 7 PERSONALITY TYPES NAMED FOR PLANETS? I am often asked why the 7Personality Types are identified by the planets and what relationship this system might have to Astrology, Horoscopes and Body Language or other Personality identification systems. The method of identifying personalities is based on the traditions of Physiognomy which classifies people by using the combination of facial features, body types, hand structure (Palmistry to some extent). It holds true that people who look alike have similar behavior patterns. The Planetary names associated with the 7 Personality Types evolved over the centuries as they were easy to relate to by the early Physiognomists who originally linked the connection of the traits and to each Planet. We have chosen not to change these 7 types designated to each Planet as the common knowledge of the nature of each planet is easily identifiable. One can immediately form a mental image related to each planet of the type of person being described. Each Personality Type has a ‘sub-heading” which was added to clarify the type. In each Newsletter it would be our objective to empower you to learn the technique of identifying which of the 7 Personality Types you are as well as how to identify your friends and utilize this knowledge to help you achieve harmonious relationships, success at work and using these observational tools as a guide, giving you a new window and a deeper vision of how you view yourself and others. We’ll explore each of the 7 Personality Types in depth and discuss newsworthy people as well as Celebrities in our Newsletters to provide you with a perspective on why people behave the way they do. Physiognomy is an ancient well-accepted system utilized by the Ancient Greek and Roman philosophers, poets and cultural leaders. They based their wisdom on the correlation of the relationship of an individual’s outward appearance to their inner character. Physiognomy is referred to in Literature as early as the 5th century BC as well as in plays and literature as the philosopher Aristotle refers to Physiognomy in his works. Pythagoras the mathematician, scientist and astronomer was believed to be one of the originators of Physiognomy. This system was widely utilized in those cultures but became corrupt in the Middle Ages when it was abused by fortune tellers, gypsies and vagabonds, tarnishing its integrity. However, it was once again revilalized in by Johann Kaspar Lavatar (1741-1901) and the concept and principles of Physiognomy have once again emerged as a method of determining personalities with the advent of the scientific discoveries related to DNA. It is obvious that as civilization has evolved and cultures have blended many people are combinations of the 7 Personality Types and therefore have characteristics of a type beyond their primary Personality category. With studied and careful observation and examination of their facial features, shape of their body and hand structure it is possible and probable that their Primary Personality can be determined fairly accurately. HOW IS THIS DIFFERENT THAN ASTROLOGY OR HOROSCOPES? This system of Physiognomy zeros down to YOU, focuses on the INDIVIDUAL and is SPECIFIC to YOUR UNIQUE BIOLOGY dictated by the DNA that is the intrinsic part of your character. The other systems are certainly interesting, entertaining and enjoyable to utilize and some elements of each originated from the principles of Physiognomy which relied on Astrological comparisons to determine types, but all of those approaches are a wide sweep of people of the entire world who” happened to be born on the same day” as you. Those systems do not allow for individualization of YOUR PERSONALITY TYPE. They do not serve as a Personality Identification technique and are far too general. Your facial features and body type do not change.You were endowed at birth with a certain set of characteristics that determine the path of your life and the obstacles we all must face and overcome because of our personality (each type has its limitations which can be overcome). By analyzing and determining your Personality Profile you can be prepared to utilize the best of who you are and use these traits to your advantage. You will have a strong weapon in overcoming the lacks in certain areas of our character that we all have. You can be aware of what approach to take with friends, how to find a job that is right for you, how to marry the right person, tolerance of others for more harmonious friendships and redirecting our emotions in a positive way. You can understand the personality of your children and how to guide them and inspire them. You can achieve a better balance in your life. Being aware of who you are, how you react to others allows you to gain control of your outcomes and life direction. Once you are educated in this observational art through our Newsletters about each Personality in depth and learn to utilize your powers of observation, you can use this valuable system throughout your life. No, it is not a science, but it is based on characteristics that an individual inherited and is constant throughout their life. THE SECRET IS KNOWING WHO YOU ARE, KNOWING YOUR STRONGEST CHARACTER TRAILS AND YOUR WEAKNESSES, BEING ABLE TO ANALYZE OTHERS YOU ENCOUNTER IN ALL OF LIFE’S CIRCUMSTANCES AND ARRIVING AT A BALANCE OF HARMONY IN YOUR LIFE PATH. YOU CAN UNDERSTAND YOUR HUSBAND, FRIENDS AND CHILDREN AND BETTER RELATE TO THEM. YOU CAN LEARN TO USE THIS VALUABLE TECHNIQUE AND TOOL AND BE ARMED WITH KNOWLEDGE FOR YOUR LIFE JOURNEY. Your Personality Type reflects who you are as an individual and how to interpret the others in your social network. Knowing who YOU are make it easier to make decisions, communicate, recognize and adjust to others in the roles in your life. Let me put my 30 years of expertise to work to help you gain this knowledge.